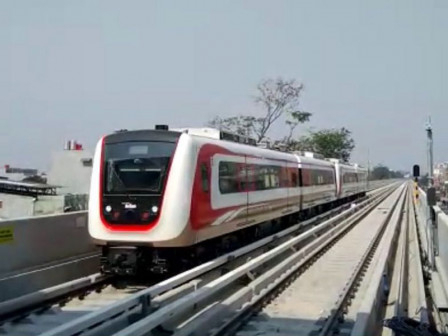 The operational of the phase I Light Rail Transit (LRT) route Kelapa Gading - Velodrome is targeted in the forthcoming April.
" We plan to hold trial run by the end of February"
"We've entered finishing and lift trial stages," he expressed, Wednesday (1/9). "We plan to hold trial run by the end of February," he stated.